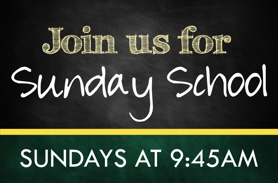 Join us for Sunday School on Sunday mornings at 9:45am. Classes for all ages. Please contact Pastor David Zooeff for more information about this class.